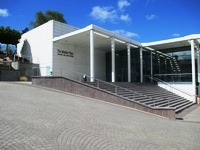 This venue is situated in Armagh. The nearest mainline station is Portadown. 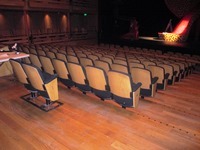 Opening times do vary depending on performances. 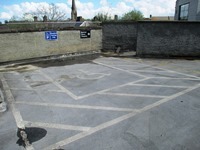 The name of the car park is St. Patrick's Train Pay and Display Car Park. The car park is located on Upper English Street. 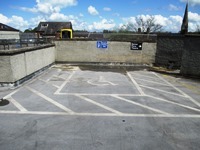 There are three Blue Badge bays measureing 370cm x 600cm opposite the rear entrance. 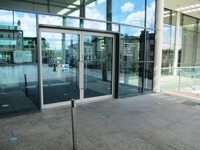 This information is for the entrance located on Market Place. The main doors open automatically (towards you). The door opening is 256cm (8ft 5in) wide. The door opening is 240cm (7ft 10in) wide. 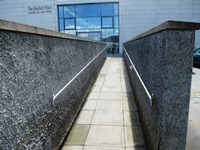 The ramp or slope is located on Market Place. 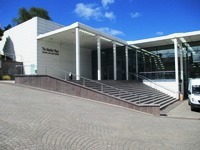 The steps are located on Market Place. Market Place is the pedestrian zone leading to the venue. 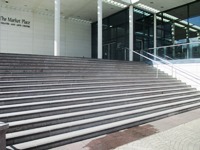 The ramp or slope is located leading from the car park to the rear entrance. 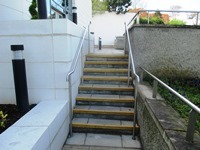 The steps are located leading from the car park to the rear entrance. The desk is 30m (32yd 2ft) from the rear entrance. The reception desk is low. The fixed loop is in the gallery/studio. 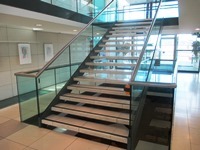 The floors which are accessible by stairs are 1-2-3. Level 2 is ground level. 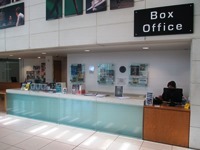 The lift is located opposite the box office. 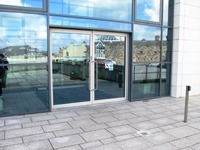 The lift is 17m (18yd 1ft) from the rear entrance. 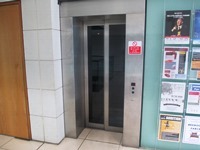 The dimensions of the lift are 99cm x 196cm (3ft 3in x 6ft 5in). 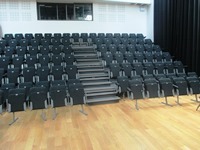 Designated seating is located at the rear and sides. 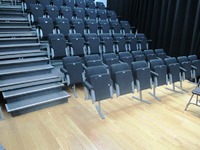 It is 25m (27yd 1ft) from the designated seating area to the nearest accessible toilet. The hearing system is infrared. To borrow a wheelchair,please enquire when booking. 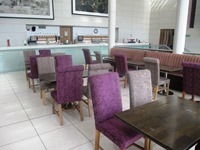 You are on Eating and Drinking (Market Place Bar). Skip to the next section. The bar does not serve food. 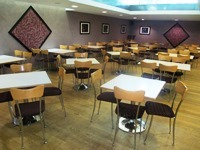 The nearest table is approximately 3m (3yd 10in) from the bar entrance. The distance between the floor and the highest table is 70cm (2ft 4in). Food is no longer served. 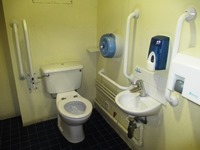 The accessible toilet is 6m (6yd 1ft) from the rear entrance. The accessible toilet is located on the left as you enter. 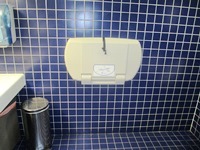 The dimensions of the accessible toilet are 152cm x 172cm (4ft 12in x 5ft 8in). The lateral transfer space is 63cm (2ft 1in). The female and male toilets are located on the left as you enter. 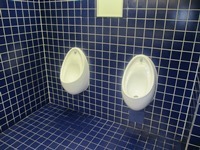 The female and male toilets are 5m (5yd 1ft) from the rear entrance. 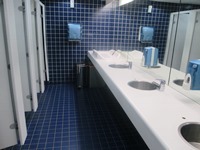 Baby change facilities are located within the male and female toilets. The height of the baby change once extended is 91cm in the male and 100 in the female.